1. the wearing away of a substance or structure, such as the skin or teeth, through some unusual or abnormal process. 2. a wound caused by rubbing or scraping the skin or a mucous membrane; a “skinned knee” and a “floor burn” are common examples. To treat the injury, the wound should be washed, a mild antiseptic or antibiotic ointment applied, and the wound covered with sterile gauze. air abrasion a type of microabrasion in which a jet of air blows tiny particles against the tooth or cavity surface. 1. a rubbing or scraping off through unusual or abnormal action; see also planing. 2. a rubbed or scraped area on skin or mucous membrane. a scraping or rubbing away of a surface, such as skin or teeth, by a substance or surface with a hardness greater than that of the tissue being scraped or rubbed away. Abrasion may be the result of trauma, such as a skinned knee; of therapy, as in dermabrasion for the removal of scar tissue; or of normal function, such as the wearing down of a tooth by mastication. Compare laceration. See also bruxism, friction burn. abrade, v., abrasive, adj. The wearing away of enamel. A scrape; superficial injury to a mucocutaneous surface caused by rubbing or scraping from a sharp object, resulting in an area of body surface denuded of skin or mucous membrane; a partial-thickness injury of the skin. Graze, grazing wound, which can occur naturally (e.g., falling off a push-bike on gravel) or unnaturally (e.g., being thrown from a vehicle in an RTA/MVA). The wearing away of surface material, such as refractories in an incinerator or parts of solid waste-handling equipment, by the scouring action of moving solids, liquids, or gas; the removal of surface material from any solid through the frictional action of another solid, liquid or gas, or a combination thereof. The wearing away of a substance or structure, such as the skin or the teeth, through a mechanical process. 1. Wearing away of the substance of a tooth. It usually results from mastication but may be produced by mechanical or chemical means. Wearing away of tissue by sustained or heavy friction between surfaces. Abrasion of the biting surfaces of teeth is common. Skin abrasions are among the commonest of all minor injuries. Deliberate abrasion in the cosmetic treatment of ACNE scars or other disfigurement is called dermabrasion. Also called a scrape. The rubbing away of the skin surface by friction against another rough surface. superficial injury to skin or mucous membrane from scraping or rubbing. n 1. the abnormal wearing away of a substance or tissue by a mechanical process. n 2. the pathologic wearing away of tooth structure by an external mechanical source, most commonly incorrect toothbrushing methods. n the wearing away of the cementum and dentin of an exposed root by an abrasive-containing dentifrice. a wound caused by rubbing or scraping the skin or mucous membrane. 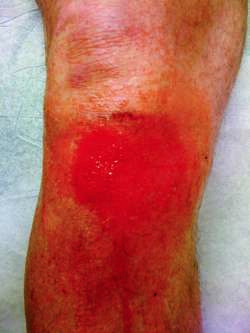 A 'skinned knee' and a 'rope burn' are common examples. abnormal wearing away of tooth substance caused by mechanical process such as chewing of rocks or metal cages. They are (1) current study (second study) on natural rubber compound abrasion, (2) regression analysis of the abrasion results, (3) nSpec surface topography, (4) natural rubber tread properties and (5) brief description of possible future work. High-stress grinding abrasion affects milling and grinding. In all the patients total healing of the corneal abrasion was observed in a week, Sabri and Colleagues reported that topical antibiotics and cycloplegics were the most commonly prescribed treatments. Growing innovation and development and rising demand in the industrial sector for novel and improved products are directly driving the rise in the use of abrasion resistant coatings. Damage by abrasion was caused with the help of a sandpaper of 80 mesh and the entire damaged area was previously marked. A Cochrane Review published in 2006 concluded: "Treating simple corneal abrasions with a patch does not improve healing rates on the first day post-injury and does not reduce pain. Generally the quality of rock crushed aggregate is estimated on the basis of physical and mechanical properties of rock such as durability, abrasion, petrography (Khan et al. As with any health condition, no matter if it is an abrasion or pink eye, proper hand-washing techniques are absolutely necessary to prevent further infection or spread of disease," says Warner. 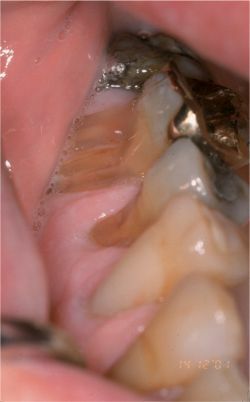 9) Hence the present study was taken up to know the prevalence of abrasion and to find out its correlation with the frequency of tooth brushing among adult patients attending OPD in the department of Public Health Dentistry, H.
Another issue that arises when interpreting abrasion injury incidence to date is that this type of injury is regularly reported with lacerations (injuries to multiple layers of skin) or as part of skin related injuries; therefore, it is difficult to have confidence in the relative risk of abrasion injuries alone. Abrasion injuries on artificial turf: a real risk or not?